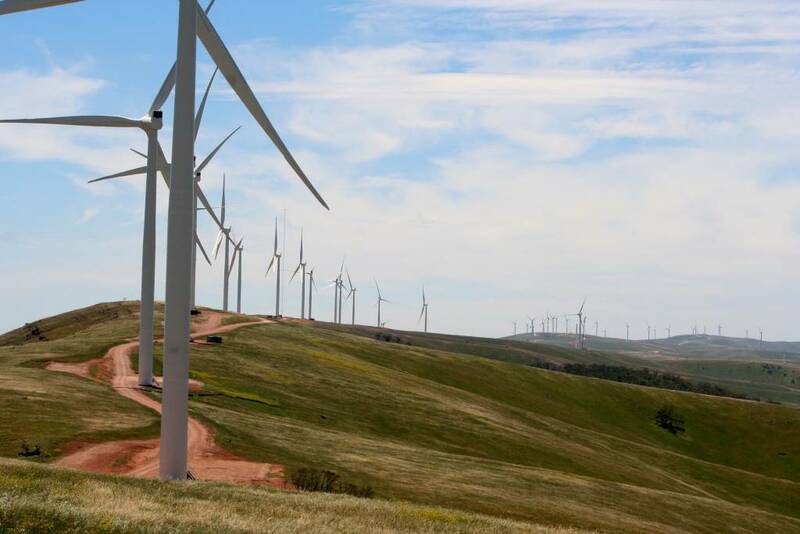 A part of the extension of the Snowtown Wind Farm in South Australia that added 90 new 3 megawatt turbines. In South Australia wind farms contribute 27% of annual electricity, notes University of New South Wales’ Mark Diesendorf. Photo by David Clarke, used via Flickr Creative Commons license. It’s unlikely that fossil fuel power stations that capture and store their CO2 emissions could supply eastern Australia’s electricity more cheaply than renewable energy technologies like solar and wind power. That’s according to a study based on hour-by-hour analysis of electricity demand by Ben Elliston, Iain MacGill and Mark Diesendorf from the University of New South Wales in Sydney. Although renewables are often seen as expensive, these findings highlight that they can be competitive after accounting for the impact of burning coal and gas on our climate. “Our studies, and those conducted by other research groups around the world, find that it is possible to operate reliable national and subnational electricity systems on predominantly renewable energy generated by commercially available technologies and that these systems are affordable,” Mark told me. Ben is a PhD student, supervised by Iain and Mark, and together the three have sought to answer key questions about renewable energy. Is it possible to supply a whole electricity grid’s needs with these technologies, or are some ‘base-load’ coal or gas power stations needed to fall back on? And if it is possible, would it be affordable? To answer these questions, Ben designed a computer programme to simulate running an electricity supply system. His program can go through a year’s hourly data on electricity demands, wind and sunshine over the region in a fraction of a second. “Everything else follows from this, provided of course one asks the right questions,” Mark noted. Does lower home energy use mean England and Wales are keen to be green? 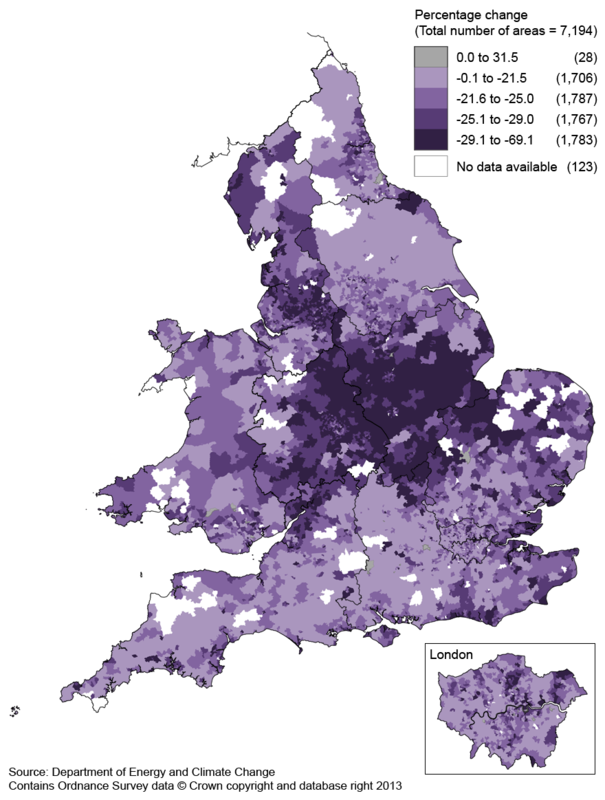 Change in average England and Wales household energy consumption in local areas 2005-11. Darker areas are where household energy consumption has fallen most. As I live in England, the world ‘household’ brought to mind other changes the news often tells me are going on that might also play a role. They are: The number of households in the UK is increasing, and the number of people in each household is decreasing. It could be that the lower energy consumption per household is just because there are fewer people per household to consume the energy. But households are shrinking much more slowly than energy consumption, with average size reducing by just 4% from 2.4 to 2.3 between 2001 and 2011. Or there could be many more households consuming, which would result in an overall increase in emissions. But in 2011 there were 26.3 million households in the UK, a 7% increase since 2001. I’m increasingly realising how much of a creature of habit I am. I have the same bizarre sticky brown yeast extract goo on toast for breakfast each morning. I watch films in my lounge most evenings. And I wonder: How much of my personality is just a collection of habits? What about yours, and all of ours? Could our whole society just be a giant collage of habits? And most relevant to this blog: how much of the human greenhouse gas emissions that are driving global warming come from our habits? Recently, I’ve been keeping track of how long I spend doing things, which has been helping me swap what I think are bad habits for better ones. It’s tempting to suggest fighting climate change in a similar way. Many people talk about how we burn fossil fuels to propel our cars or run our gadgets as a bad habit, and even an addiction. But it’s more complicated than other addictions. 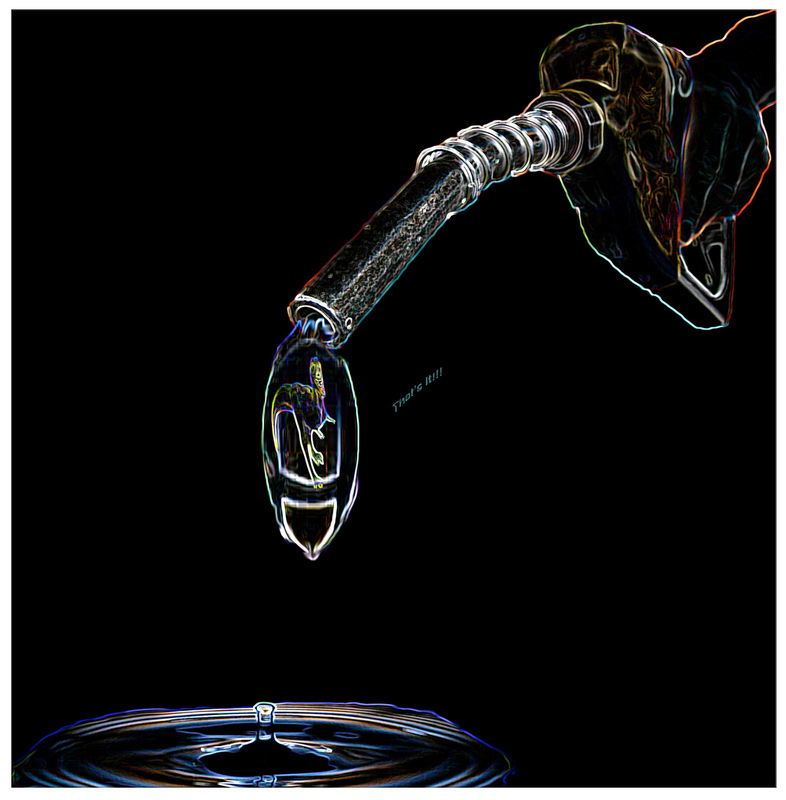 Fossil fuels have been to our society more like food and a salary are to us individually – they’ve helped produce many of the healthiest aspects of the modern world. They’ve powered more than a century of rapid social and technological progress, and given many countries their current rich, well-fed figures. For an article I’m writing about employment prospects in the UK’s chemical industry, I recently spotted the table below. It shows ‘gross value added’ (GVA), a measure of the money contributed to the economy, per person across the country’s different industries. It was striking to me that while bankers may get all the headlines for their wealth, the energy industry has the greatest earning power per head in the UK. 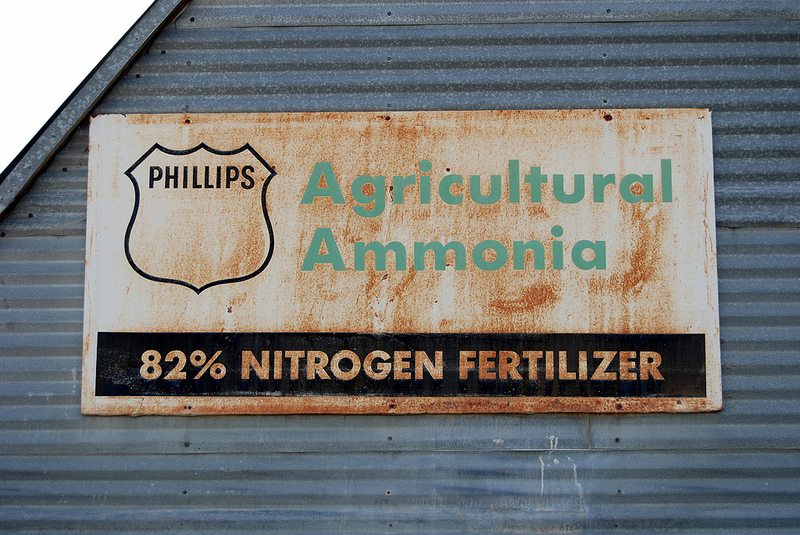 It’s hard to imagine how we can slow and stop emissions. In 2004, that drove scientists Stephen Pacala and Robert Socolow at Princeton University in New Jersey to come up with the idea of breaking the cuts needed into wedges. 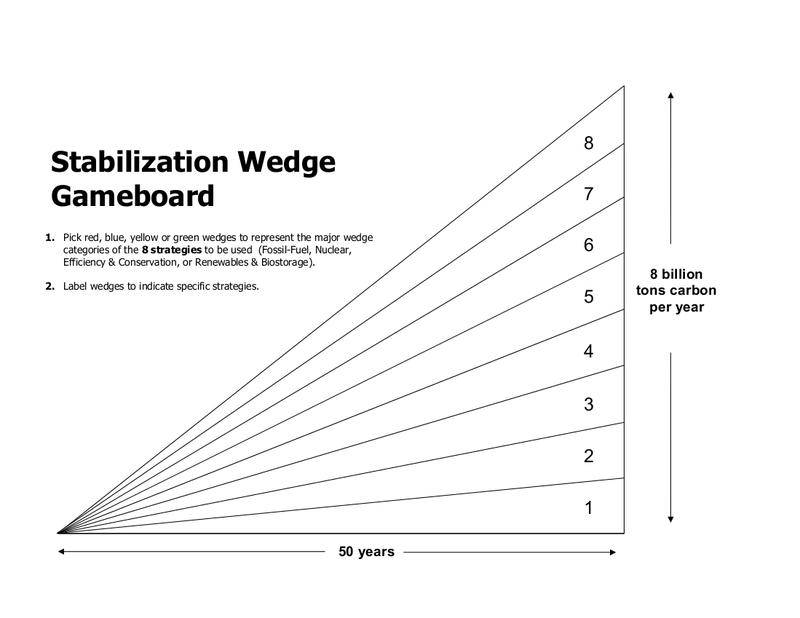 Each wedge is a unit of effort in stopping CO2 production, starting from a small beginning and becoming a massive impact. Over 50 years, each wedge of effort grows steadily from zero to a billion tons, or gigaton, of carbon emissions avoided per year. We can use the idea to decide how to cut out each wedge, assigning them to particular reduction efforts and technologies. Since their invention, wedges have been used to teach and make decisions about fighting climate change.